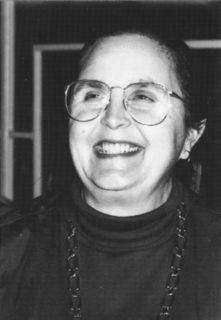 Jane H. Hill died on November 2, 2018, in Tucson, Arizona. She was president of the American Anthropological Association, 1997–1999. She was a brilliant scholar who showed how language structures are shaped by economic and ideological processes in multilingual situations. She was on the faculty of the Anthropology Department at the University of Arizona from 1983 to 2009 and a Regents Professor from 1999 to 2009. Hill was born in Berkeley, California, and later lived in Los Angeles, where her parents, Mildred E. Mathias and Gerald L. Hassler, were on the University of California, Los Angeles, faculty. She received a BA in anthropology from the University of California, Berkeley, in 1960, and her PhD in anthropology from the University of California, Los Angeles, in 1966. Hill worked closely with linguistic anthropologist William Bright and wrote her dissertation on the grammar of Cupeño, the beginning of a lifelong commitment to the study of Uto-Aztecan languages. While at UCLA she also met and married husband and collaborator Kenneth C. Hill. The Hills’ research on variation and change in the Nahuatl (Mexicano) language as a consequence of Spanish colonialism in Mexico, was foundational for many of her contributions to anthropology. This research culminated in their monumental volume, Speaking Mexicano, published in 1986. In this and other publications she powerfully demonstrated the impact of political economic processes on language ideologies and language structure. Hill’s analysis of “The Voices of Don Gabriel” was a stunning demonstration of how the “mixing” of Spanish and Nahuatl was organized in and through the sequential structure of discourse. Her ability to show how different cultural meanings were associated with each of the two languages led to later analyses of language and racism, including the book The Everyday Language of White Racism, published in 2008. Hill’s contributions to the study of languages in the process of being eroded grammatically and functionally under oppressive conditions influenced younger scholars dedicated to the revitalization of such languages, particularly in the Americas. This younger generation has taken up the idea that locally active language ideologies can have a direct impact on the survival of a language or aspects of a language and must be known and understood to protect vulnerable languages and enable them to thrive in whatever ways are meaningful to people. In Jane Hill’s mind no language was ever alone. In everything she wrote she modeled a multilingual vision of language. She never lost her original affinity for grammatical analysis of Uto-Aztecan languages, and she had just completed a draft of a comparative grammar of the Takic subgroup of Uto-Aztecan languages when she died. She was confident that her historical linguistic analysis of the origin and spread of the Uto-Aztecan language family would be borne out over time. She really was intellectually engaged right up to the end of her life.